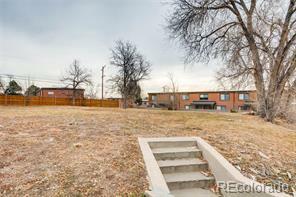 This is a one of a kind opportunity to acquire a large parcel of land comprised of four contiguous lots in one of Denver's hottest neighborhoods. Located at 1310 and 1330 Quitman Street, the Properties are surrounded by many new exciting development projects, retail, Sloan's Lake and a block away from the Perry Lightrail Station. This is a rare opportunity to purchase an asset that has current in-place cash flow from a single family home, two duplexes, and a triplex. Zoned U-RH-2.5, a new investor can raise current rents while developing plans for new construction row homes.